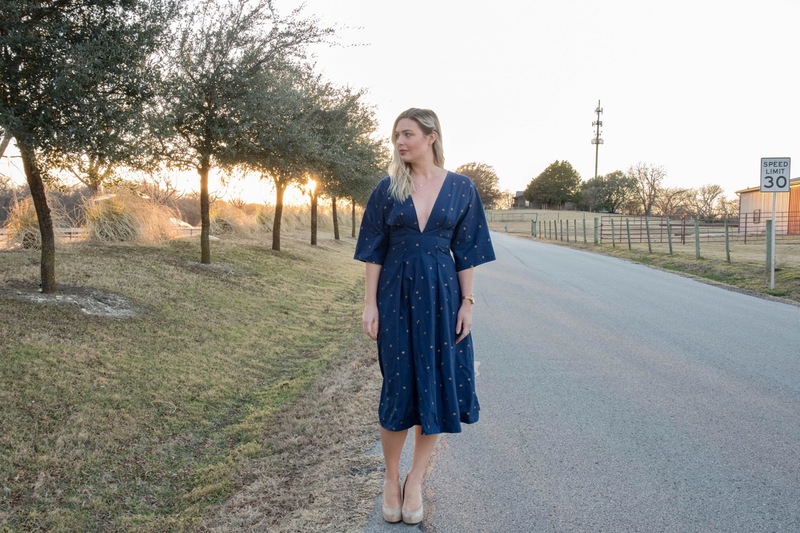 One thing I really enjoy about sewing is that we have the ability to make our own personalized version of the ready to wear garments we fall in love with. Does that top you love have a design element that doesn’t suit you? Does that skirt not highlight your perfect bum? Is that dress you love sold out in your size? Eh, you’ve got this. Make your own. A few years ago, I came across this image on Pinterest. The original pin I found was simply the image, and wasn’t linked up to a website, but I fell in love with the look of this (what I imagined to be a) dress. 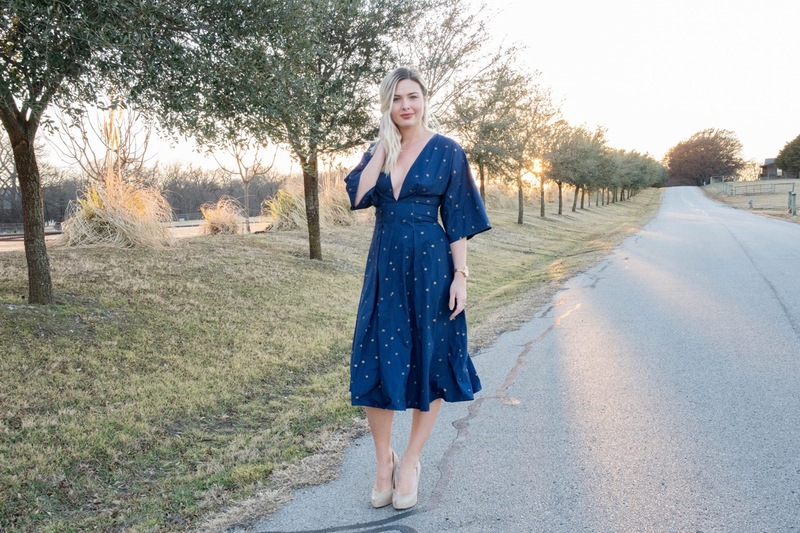 After awhile, I came across another pin of the same image that linked out to a website – I found out that it was, in fact, a dress, made by Free People, and now sold out. Bummer. When I began sewing, I came back to this image a couple of times. Surely, something like this couldn’t be too hard for me to put together, right? Unfortunately, I am much more comfortable with a well laid out pattern in front of me, and am a bit afraid of adventurously coming up with designs on my own. So I continued to pine after the idea of this dress. Throughout this past autumn, I was looking through my fabric stash and trying to pair fabrics with pattern ideas in an effort to actually use some of the beautiful fabrics that were currently decorating my shelves. I’d purchased this Cotton Lawn when I found it on sale online somewhere, but never had a clear plan for it. I started looking through my pattern collection for some ideas, and remembered the awesome somewhat 70’s-inspired Vogue 9253 I’d made at the end of the summer, and realized I finally had a way to bring that long-loved pin into my wardrobe. I cut the fabric out pretty quickly after that, back in early November. I thought I’d have more time to sew before leaving for Italy, but life was super busy and ultimately other things took priority. Finally, the second week of January, I had a chance to pick it back up, so I got to work. This dress actually turned out even better than I’d imagined. I feel so pretty in it, and I think that the dart / pleat combination around the torso looks so flattering. 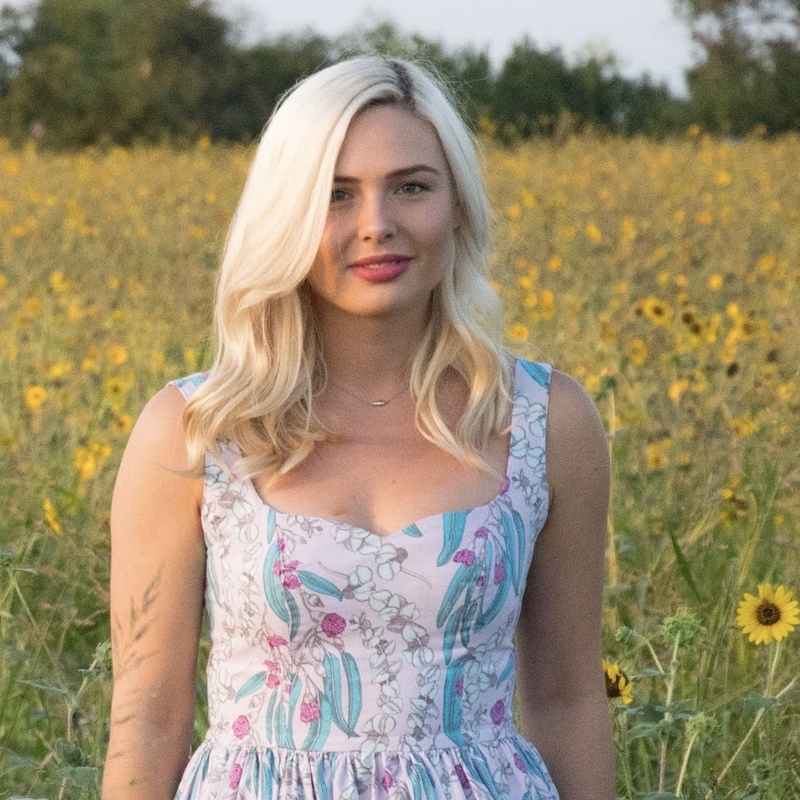 The cotton lawn is soft against the skin, but has the perfect amount of stiffness to keep the neckline in place and highlight all of that torso / waistline detail. 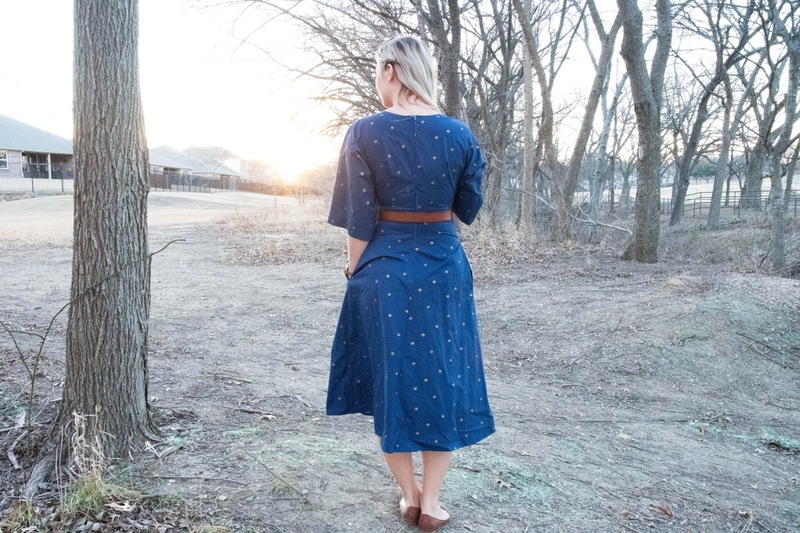 I was nervous about the length going in to this project – I wanted something a bit more casual, and wasn’t sure the maxi length (though I adore maxi dresses) was quite what I was looking for here. However, I was worried that the shorter length would cut me off in an odd way. After wearing it and seeing some photos, I don’t think it looks too bad. I definitely prefer it with a heel versus a flat, but I find it very much wearable with either shoe. I think a sandal will be a prettier option for flats, once the warm weather rolls back around! After years of longing, I’ve finally filled the Navy Blue, Deep V-shaped hole in my wardrobe. It’s a pretty cool feeling to have made something that seems to suit me even better than the original dress that I’d wanted for so many years! Next Post Maxi Chardon + Giveaway! Beautiful dress! Looks stunning on you and so well made!! Great job! You are such a sewing inspiration for me! Wow! This is stunning and the fabric is perfect. I think the length is great too. I think in a maxi length the entire vibe of the dress would be completely different and a little more retro. This version seems a bit more modern, but with a classy nod to 70s style! This dress is absolutely stunning. So inspired to make those dream Pinterest pins now. Love it. I am making my 3rd make for my Spring capsule.